APN Educational Media (NZ) Ltd.
“Thanks a million!” we say when someone deserves our greatest gratitude. Hundred of thousands watch “Who wants to be a millionaire” and when Lotto gets up into the millions, millions flock to the shop to get their ticket. “Million” has something of a ring to it. So it is little wonder that the firm belief exists that a successful university college education is worth $1 million over a lifetime to those with such qualifications. You perhaps should smell a rat in all this when the figure is constantly $1 million regardless of whether this is referring to the USA or Australia or even New Zealand. Debate has burst out in the USA this week as this old hardy annual is challenged. The belief goes like this. Taking a US high school diploma as the base point, a Bachelors degree is worth $0.9m more over a lifetime, a Masters is worth an additional $1.3m while a Doctorate is way out in front with an extra $2.2m. Of course it matters a little in which discipline the qualification is gained – Engineers earn the most while Education majors earn the least (of the group with degree qualifications). So decisions about which discipline will affect this ability to earn over a lifetime. Imagine me at this point, sitting at my desk, assessing whether the nib of my fountain pen will pierce the arteries in my wrist – my degrees are in liberal arts and social sciences and predominantly in Education. How did I miss out on Art History? The debate that has burst out is to challenge the $1 million benefit – clearly a college or university degree makes a difference but different degrees make different differences! It is being argued that the high cost of gaining a degree now is wiping out the advantage of a higher education qualification. But, it is counter-claimed, that is only when the calculations are undertaken in today’s dollar terms. Over a real life time the dollar changes and the advantage is sustained. Back comes the riposte – getting the highest qualifications sometimes takes three or four further years (and they are at a cost not only in tuition fees etc but also in lost income). But is this a useful argument to have when increasingly financial barriers perhaps lock out so many before they start? Perhaps, but the real benefits of a tertiary qualification cannot be ignored. All the evidence is that the American dream of a college education was founded on a dream of egalitarianism. OK, it didn’t turn out so well for many. What is the situation in New Zealand? Education Counts, that wonderful Ministry of Education website that is such a store of information has completed a study of the impact of education on income in New Zealand. Some of the findings are interesting. Education is certainly reflected in the average median weekly wage. No qualifications and school qualifications sit on and just above $300 per week respectively in 2007 income terms. So there is very little difference. A Bachelors degree will bring home $800 on the weekly wage packet, a long way ahead of no qualification and school qualifications. Already the first key point is clear – in terms of income, a post-secondary qualification is critical. But here is the surprise. Any tertiary qualification other than a degree, that is a certificate or a diploma or some such, will lift weekly earnings to $600 a week! This is another powerful argument for getting people through school and into a postsecondary qualification without any obsession on making that qualification a degree. There is clear economic gain to the individual in such a qualification. Economic transformation requires increased productivity and economic transformation for the country starts with the economic transformation of the individual through education. The cost to us all of not accepting the prime need to get young people into tertiary, to get those in our community who are unqualified into tertiary, can only be a symptom of a belief in economic degradation. Some other findings: returns from higher qualifications are greater for Maori largely due to the higher levels of disadvantage within that group – so Maori students are a sounder investment. Maori women are traditionally remunerated at a lower level when compared with non-Maori but that gap closes with higher qualifications until it disappears completely at the postgraduate level. This trend, the link between educational qualifications and income, is one which is strengthening – so let’s keep the momentum going. Getting out of the recession better than we went into it in terms of productivity would be to see that we increase the trend towards more highly qualified communities. Of course this assumes that those on higher wages are more productive – oops the hornets are stirring. But certainly we need at this time to be even more determined than ever to increase pathways into or back into postsecondary education and be rightly tough on spending where this is not a clear outcome. So a blunt policy instrument approach to Adult Community Education funding, or a blanket approach to wiping out the Training Incentive Allowance for Level 4 and up, or taking an uncritical approach to tertiary funding caps might in the long run be simply bad economics. 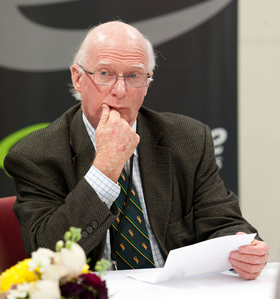 New Zealand needs to be able to point to its education system as one that produces independent citizens rather than dependent people, productive citizens who contribute rather than those who simply take, people of all ages who add value to this blessed country rather than destroy its peace and contaminate its values. That postsecondary qualification is the marker of such people. President Obama is keeping up the “Yes, we can!” theme with his latest support for the Community Colleges in the USA. He announced an American Graduation Initiative that would see $US12 billion additional funding going into the community colleges adding 5 million new graduates by 2020. The USA Community College evolved as an alternative to the traditional four year college (i.e. university) that offered conventional higher education. The system received a boost in the 1960’s when California included them into the development of a comprehensive postsecondary higher education provision. The Californian Dream of everyone being able to go the college was to be realised with the help of the open access community college that led to a two year exit qualification (often the Associate Degree) or a transfer option to complete a conventional degree at a four year college. The institutes of technology and polytechnics in New Zealand have taken on the role of community colleges but with a narrower and more focused vocational and technical orientation than the USA community colleges. They also have in the last 20 years added a relatively narrow range of degrees to their portfolios. Both the USA and New Zealand share similar challenges – the gap in the middle of the skill range. The focus has shifted too much onto so-called high level qualifications and too far away from the middle level skilled technician. The call for increased numbers of students at Level 4+ is interpreted as a call for more degree level students. Qualifications such as the NZ Certificate in Engineering or Science and suchlike all once had a valuable role to play in feeding into those areas people skilled to undertake technician level responsibilities that supported the work of those with degree qualifications. To mindlessly accept the creeping credentialism that has seen increasingly higher level qualifications required for work that while becoming different has not become markedly more difficult, has led to a series of distortions. The 2006 New Zealand tertiary graduation numbers in critical technical skill areas make for an interesting read. It is hard to tell how many of the graduates subsequently replace that qualification with a higher one but the relative proportions of graduates at various levels remains somewhat constant. When a comparison is made of sub-degree graduates with degree (bachelor and postgraduate to masters) graduates, the balance is interesting. In Management the split is 64% (sub-degree) / 36% (degree), Engineering 71% / 29%, Information Technology 64% / 36% and Law 5% / 95%. So there is a sound basis for the assertion that we have too many students graduating at too low a level. Remember that these figures are for disciplines in which there is a need for low, middle and high level skills. But when the figures are seen on a student number basis there might be an even bigger concern. NZ Prime Minister John Key suggested in a recent speech that we might be turning out too many commerce and law graduates and too few engineers and scientists. For each single engineer or scientist who graduates at degree and postgraduate level, New Zealand graduates over four commerce and law graduates. At least our increasingly skill deprived economy will be well managed and regulated! So is President Obama right to see the USA Community College as the place in which make a significant investment at this time? And would an investment in the ITP sector also be the right move just now? The answer is probably the same in both countries. In general investment in education does produce long term gains when it leads to a step change in access or performance. Investment followed the 1877 Education Act which opened up primary education to all. In the early 20th Century New Zealand had an enviably high standard of living. There was additional investment in the late 1930’s and into the 1940’s as secondary access was expanded. In the 1950’s we again enjoyed a relatively high standard of living. Is this pattern a matter of chance? Of course some rightly argue that there is a multiplicity of factors that lead to high standards of living. True. But perhaps the decision to make a step change in education provision is the key. So what might be that step change right now? It is probably the Youth Guarantee investment which will in some form or another offer students the opportunity to access free education for two further years beyond the age of 16 in settings outside the secondary school. In the development of the education system (see the steps in the previous paragraph) this is a logical progression. Simply encouraging everyone to continue in conventional secondary schooling might have the appearance of continuing our proud tradition of universal access to education but the stark facts of disengagement suggest that continued education is only a feasible goal when opportunity is offered in a range of settings. We made a mistake along the way in thinking that “more” meant “same” and uncritical commentary about knowledge waves and information ages emphasised the need for high level technical skills rather than multiple pathways and a range of qualification exit points. This took our eye off the real prize – getting every single young person equipped to make a contribution. Not just some , but every person, whatever [their] level of academic ability … whether … rich or poor, … in town or country, … [exercising their] right, as a citizen, to a free education [of an appropriate kind] to the fullest extent of [their] powers. So we move into the next phase of our maturing education system, one characterised by increasing choice of pathways, of increased status to middle level technical qualifications and to a society that is inclusive in the allocation of access. Rather than defining access as getting into something or somewhere, we will learn to define it in education as an outcome – what does education give you access to? Can we feel confident that the Darcy Whitings of our age will emerge from the education pathways currently available? If we could, then that would be a great guarantee to our youth. It is understandable to see why some commentators were inclined to dismiss the Prime Minister’s recent trip to South Pacific Island nations as a bit of a junket – a trip with a couple of footy blokes, a chance to dance, to dispense some aid, to question some aid. Such commentary is possible because like so many people in New Zealand, they are dislocated from the future of this country and from the demographic revision that is happening. Sixty years of migration have established a community of interest that brings the five Polynesian countries of the South Pacific – Niue, Cook Islands, Samoa, Tonga, Tuvalu, and Kiribati – into a tightly bound relationship with each other and with New Zealand. Not only are the populations of those Pacific nations now spread across their originating home lands and the suburbs of New Zealand, the situation is not static as communities and families travel back and forth. More recently. Levels of interaction between New Zealand and Fiji has seen dramatic growth in the Fijian component of our community – we will soon need a mature take on that! This raises questions about the nature of our future relationship – us with them, New Zealand with the other nations. In 1883 Richard John Seddon suggested that “… we [in New Zealand] might send our governors and legislators to all the distant islands of the Pacific, to unite them by our common education, by our common form of government, by one class of habits. We could found as great an Empire as the world has seen…” Let’s put aside the notion of “empire” and forget about the “one class of habits”. But we could do worse than to consider a federation of education systems throughout our little Pacific wedge. A common education system that allowed free movement between the education providers of each country might well be the biggest aid contribution that a country the size of New Zealand could contribute to a world where poor nations are confined to poverty while developed nations cling to their developed privilege. And it makes sense. The future of both New Zealand and the South Pacific island nations requires a common market of skilled and educated people. The growth of Pacific populations in New Zealand is a defining feature of the demographic landscape of our future. About three hundred thousand New Zealanders are of Pacific descent and 60% have been born in New Zealand. But the median age of the Pacific population is about 21 years of age compared to 35 years for the rest of us! Pacific will be very dominant as a community group in the future. But ….. it is not all good news. One in three Pacific people over the age of 15 have no formal qualifications. Mix this ingredient with those population growth patterns and there is an urgent call to action for educators. Especially in areas such as Manukau where predictions are that well over half of the population will be of Pacific origin within 30 years. So what has this to do with Hon John Key’s trip to the Pacific? Sometimes charity begins at home. Perhaps the best (but not only) help that can be delivered to Pacific nations is to ensure that Pacific residents in New Zealand are well educated, employed and productive. Forget wrapping all this up in the flash terms such as economic transformation and economic and social prosperity, what it means is educated, qualified and working. Investing in Pacific education in New Zealand might be an excellent option for a government looking to invest in the future of the Pacific. If New Zealand based Pacific communities could earn more, they could contribute increased money through the transmission of funds back to the islands of their parents and relatives. Other New Zealanders might well struggle to understand this willingness to give concrete expression to the love of family and the obligation to community that all this implies. It most certainly is a very special part of the Pacific and our contribution to it as a country might be to see that it happens in ways that enhance the dignity of all parties. But if we are not to participate in the economic repression of both our New Zealand Pacific community and the respective communities of the South Pacific, we need to turn a few things around. Pacific students are the most persistent ethnic group in our education system – this means that they stick at education. But they leave with the lowest qualifications. It is therefore not their willingness to participate; rather it is the system’s ability to deliver. I have worked throughout the Pacific at different times, usually as a consultant helping this education system or that with curriculum development and institutional strengthening. I look back nab think about the irony of this – is there such a thing as an ugly New Zealander? So what can be done? Well, the answer is the same as it has been for other groups identified as under achieving overall. Institutions have to have about them something that signals that they are comfortable places for students of difference to be. This might be a teaching staff more balanced in its ethnicity, or programmes designed to cater both in their content and method for the key differences that different groups bring with them. It might be an iconic building or art or other physical features that suggest that the spaces we live in tell us something about ourselves. Above all it is about what is in our heads. Basil Bernstein said many times that the culture of the child cannot enter the classroom if it has not first entered the mind of the teacher. Similarly we could say that the culture of the community cannot enter an institution if it has not entered into the consciousness of the institution – its governance, its leadership and, most importantly, its teachers. If Hon. John Key’s trip had brought home to him the importance of what happens here in New Zealand is of critical importance to the nations of the South Pacific, it will have been a journey that has taken him to a good place. The audience laughed recognising it as a whimsical way of providing a context – who would be against standards? That is not the question. This seemingly harmless event provoked outrage in a 1997 report written for the Education Forum by Geoffrey Partington on teacher education. He thundered on about how my little whimsy demonstrated the extent to which teacher educators in New Zealand had embraced double standards. He went on to chide me for one of those little slips that even I make taking comfort from Somerset Maugham’s view that only the mediocre are always at their best. I had quoted G K Chesterton but it ended up in the paper as G K Chesterman. Oh dear! “Middleton’s own depth in Western Civilisation was indicated by his reference to one ‘G K Chesterman’ ” claimed Partington. I don’t mind being called ignorant, uncivilised, even ‘educated’ in inverted commas, but I do object to be labelled “part of the education establishment”! It was about this time that C K Stead (Metro, 1997) referred to “the framers and defenders of this document [i.e. the then recently released English Syllabus] – the Roger Robinsons, the Stuart Middletons,…..” I along with Roger had become a class of people, a type of nasty. Having got the character type sorted out, the argument can unfold in choreographed tedium. Take the recent discussions / arguments about national standards. It would be a brave person who declared a complete opposition to standards. It is therefore necessary to be both in favour of standards and against the standards proposed. The issue is not a difficult one. Do parents want to know how good the local school is in providing an education for their children? Yes. Does the community at large have a right to know that their money spent on education is being well-spent? Yes. Is an education system that is a high-performance one that is committed to standards? Yes. So, national standards are needed. That then raises the question of how they should be designed, implemented, monitored and reported. I will leave the first three of those – design, implementation and monitoring to officials, experts and schools to sort out. And I presume they can because most of the discussion is not about those elements, it is clearly focussed on the reporting. Some of the arguments about “league tables” are spurious. We like league tables when they apply to sport, to consumer goods, to movies and to a whole variety of things. We even tolerate them in education when the universities lust after whichever international league tables appear to advantage their position in the market. So why are schools so worried? It gets back to the education types. The radical change merchant has a bob each way – they might bring about change but then again they might not. The union one rightly feels that spurious distinctions will be made about teacher quality and that complex difference between schools will be glossed over. Politicians always like them because generally speaking the community supports standards. The leader of a conservative school will like them backing themselves to do well while leader of non-conservative school will fear that the types of standards developed will punish them. And so on. In other words the discussion can be scripted in advance and little additional light gets thrown on it as the debate continues. Standards are critically important and if the profession doesn’t grapple with it others will – the difference between developing and introducing them and having them imposed I would have thought. But standards are a vexed issue throughout society. This is seen in the recent sacking of Lothario Worth. John Kay sacked him because he had standards. The media continue to press him to talk about it because they have few standards and are driven by the prurient desire to give their readers a second-hand, low-grade pornographic read. Of course they dress all this up as a matter of high principle. And so do we when we talk about league tables. It is not what they contain as much as how they will be used. Ted Wragg wrote about such tables and their promotion by the Government of the day in the early 1990’s in the UK in his inimitable satirical style. “A Department of Education spokesman described the league tables as a triumph for the Government’s information revolution. ‘This is a triumph for the Government’s information revolution,’ said Mr Henry Farnes-Barnes (59) from a prepared statement. Nor will the propensity of many in the education system to make use of the very worst features of league tables to their own advantage. That is why so many argue against them. It is not the league tables but the use we make of them. Having said that, I do remain worried about the position on the league tables of my beloved Warriors. Containers have a fascination for us from a very young age. There is no need for Fisher Price toys when you have the pot cupboard handy. Put a little one in a sand pit with a few containers and they will immediately fill them. It seems to meet some urge in us to be tidy. I have sometimes in an idle moment wondered if there were not some parallels between the way we organise education and the way we run a container port. If you think of the age cohort basis on which we assign students to classes and then the inexorable application of age-based promotion there are some similarities. Ah, here is a container full of Year X children delivered on schedule at the port and the straddle carrier will be back to shift them around the port at the end of the year. There is little qualitative assessment made of what is in the container at the end of that year when, sure enough, the straddle carrier arrives to whisk them all off to another part of the complex. After a few shifts around the place the container is shipped off to another port somewhere else. I wonder if when the students who leave to go to secondary school they are primary exports? Of course the containers are sorted with increasing frequency as the years roll by. It might be a tidy way of running education systems, but in terms of individual students there is an element of hit and miss about it. If a student has not achieved at one level, to ship them off to another level is simply an arbitrary decision. They take with them gaps in knowledge and skills which start to place extraordinary pressure on teachers as those gaps accumulate into significant unpreparedness for learning at that next level. As pathways have got narrower and fewer for young people, it is not surprising that, like the Telecom woman, they are perched on the outside of the container rather than inside where all the action is. And as the seas of economic pressures, of employment, of further education and training get choppier the risk of falling off completely becomes very real. Change requires us to be less tidy, to be less concerned about the containers of our thinking to this point and to learn to live with some spills for a time. The whole notion of paradigm shifts advanced by Thomas Kuhn requires us to periodically live with untidiness as one container of our world view is replaced by another. However it is not a tidy process. We have to move away from one container with which we have developed some comfort before the new container starts to take shape. So periods of great uncertainty are critical to any significant change. And where have this occurred in education? Well perhaps not very often. The shift from norm-referenced assessment to one more aligned to achievement / performance based assessment might be a key one and we are having great difficulty in coping with the uncertainty of that change. I personally think that somewhere up ahead lies another significant paradigm shift in education as the model of education sectors adapts to new and different demands. It could be that as we moved away from a heavy emphasis on workplace learning up until the 1980’s to see it replaced by institution-based learning across both the conventional academic and the conventional non-academic areas of learning we were in fact taking part in a paradigm shift of some significance. But we are certainly now struggling to fit what is happening into the containers of the education system’s containers. You see, if the greatest part of learning is now to take place in institutions, then perhaps such a shift requires us to consider the nature of those institutions. And certainly the nature of the relationship between industry, business and the wider world of work and educational settings is challenged. We glibly use phrases like “think outside the square” to capture the process of questioning the containers. But it could be that the notion that there is a square to think outside of is in itself a false assumption. But events of this week have entirely ripped the notion of containers away from my grasp as they are now to be firmly embedded in the thinking of the Department of Corrections. And why didn’t I see it coming? The issue is not that the image of schools I started out with was based on containers but that they were shipping containers. The use of containers as cells for convicts returns incarceration back to its roots as the Australian relationship with the shipping of convicts receives its modern expression through this innovation. It is one small step, having decided to containerise prisoners to then actually load them onto ships. Could not these containerised prisons be loaded on to super-large megastructure ships that could cruise around New Zealand giving all communities a chance to take their share of the burden of caring for those who transgress? Actually once the ships are at sea it could be that Australia beckons? You can just imagine the folk songs! Oh we are bound for Botany Bay. Do we see a connection between the containerisation of young learners and the containerisation of criminals much later on? If we could get those young learners out of the container and onto a route that reflects their personal and individual needs then perhaps we could empty the prisons.